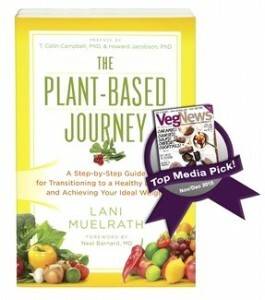 This time on Plant-Based Journey TV I brought Dr. Michael Greger in with his new book How Not to Die – now five weeks on the NYT Best Seller list! 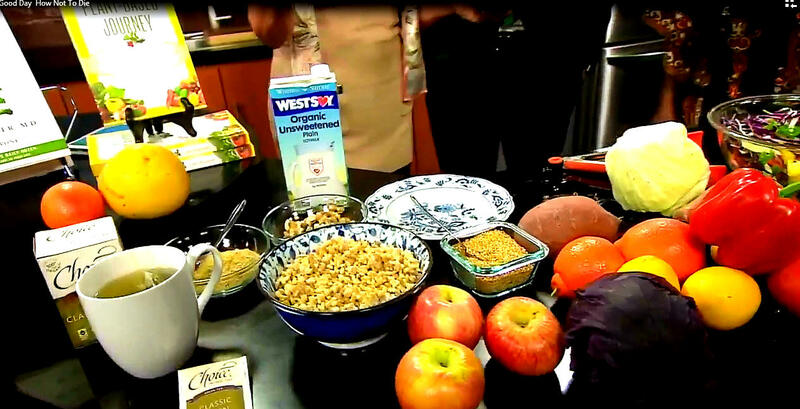 Click on the video below to watch this four minute segment, in which we feature Greger’s “Daily Dozen” featured in recipes direct from The Plant-Based Journey! 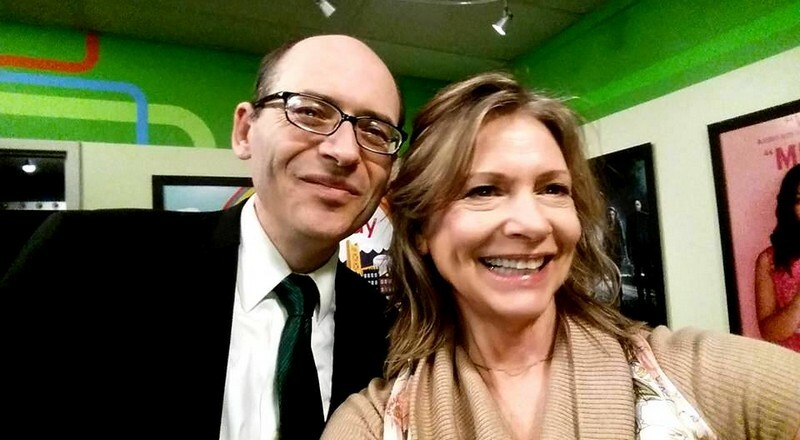 Dr. Greger’s in the House! 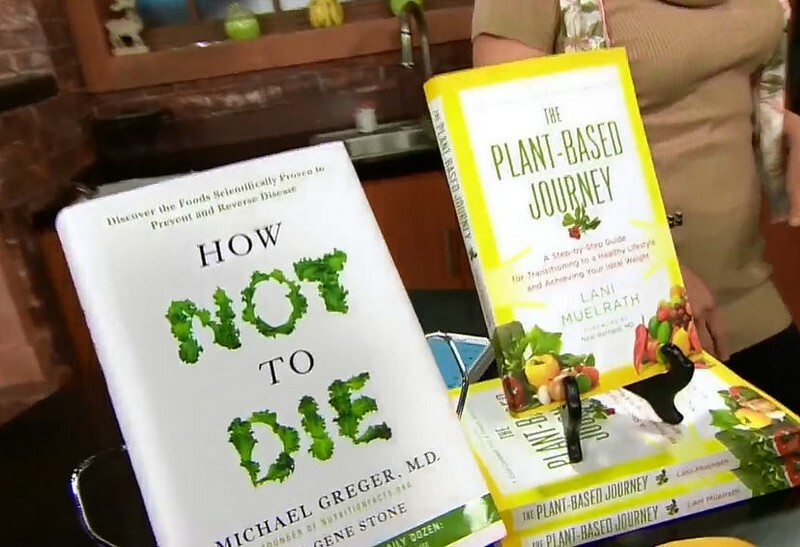 As soon as I discovered that my friend and partner in plant-based everything Dr, Michael Greger was going to be in Sacramento on his book tour for How Not to Die, I sent him a quick note asking him if he might want to sneak in an appearance on a Plant-Based Journey TV segment. His immediate “Yes!” prompted me to send a quick message to the program director at Good Day Sacramento pitching the idea. I got an immediate thumbs up response, and we were off! It all started with early morning green-room antics (above), and then off to the set that I had prepared earlier – arriving at the studio at 6:45 a.m. to get all the veggies and books perched in full plant-based beauty for the camera. As Dr. Greger states in the opening, “The vast majority of premature death and disability is preventable with a plant-based diet and other lifestyle behaviors. Enter The Daily Dozen! – Greger says that there are particular plants that we should be sure to get into our daily diet. For this segment, I pulled together recipes from The Plant-Based Journey that are a match for Greger’s Daily Dozen as featured in How Not to Die. Daily beans? Try Golden Turmeric Rice (PBJ pg. 95), which brings together garbanzo beans, whole grain brown rice, and the health-protective spice turmeric. What about those cruciferous veggies? Important to get into the daily diet are these friend lovelies! Cabbage, kale, cauliflower – and one of the easiest ways is with purple cabbage. And you’ll find them all over the Color and Crunch Salad Template (PBJ page 105). 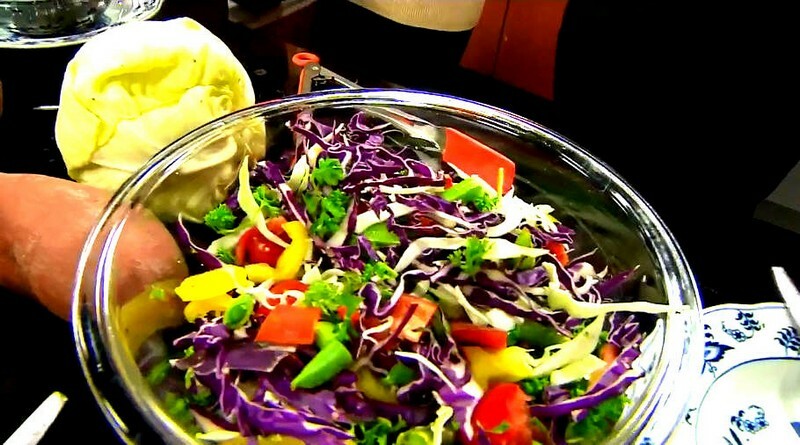 Try a Greger tip – keep a head of purple cabbage on hand in the fridge to shred as garnish for any meal! As you can see from photo below, I was eager to get an early morning start on my Daily Dozen. “Researchers found that a single serving of blueberries a week and two servings of strawberries can slow brain aging by two-and-a-half years, slowing cognitive decline”, says Greger. I put berries on my breakfast grains, such as whole oats and farro as described in the Whole Grain Breakfast Template (PBJ page 96, pictured above) – along with flax seeds, another of the daily dozen – of course! You can easiily download an app for Greger’s Daily Dozen from his illustrious, industrious (try multiple free plant-based nutrition articles each week) at Dr. Greger’s site Nutrition Facts.org. 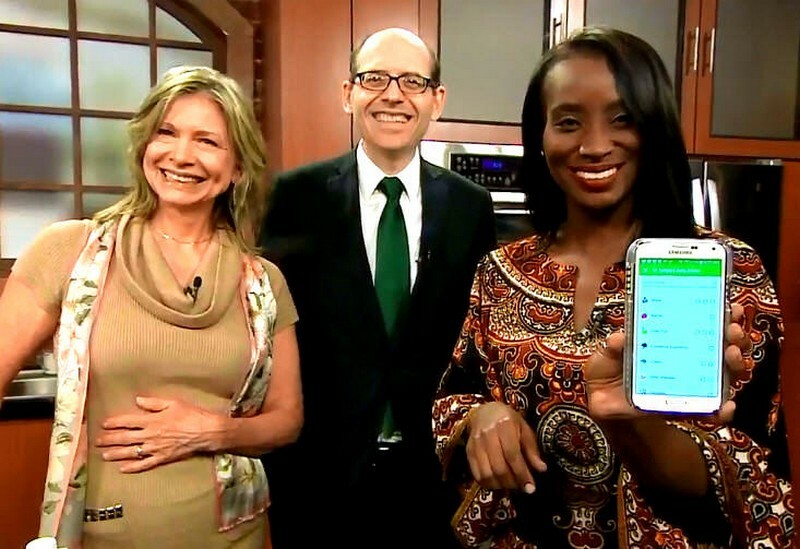 Thank you Michael Greger and Good Day Sacramento! 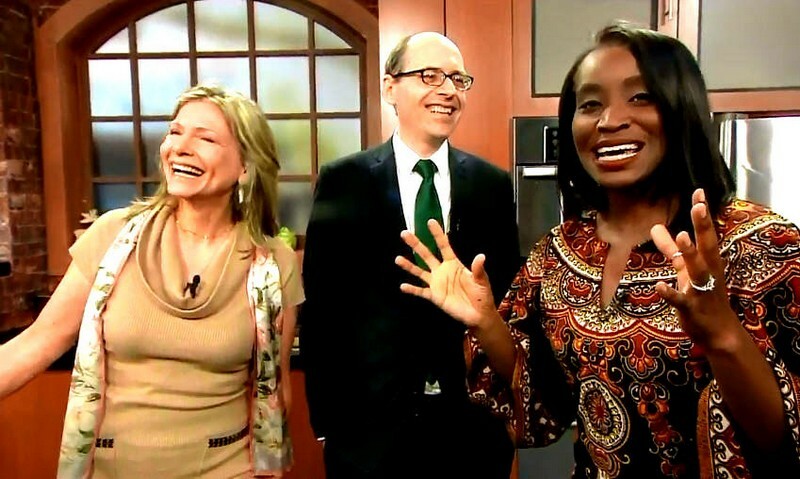 A big thanks to Dr. Greger for joining me in this early morning show – and to Courtney Dempsey and the entire team at Good Day Sacramento, who have been so instrumental in getting these titles and plant-based living into more hearts and hands. The time flew by and we could have said so much more! We did our best to hit high points and I hope you find this useful to share with friends and family to bring inspire more plantification everywhere! Would love to hear your thoughts below. This is an excellent show and my only complaint is it was way too short! I could have watched you two all day. Even then you did get a lot of info in – and your food looked great! Seems like the anchor is good to work with, no? Shelly, I know, it went way too fast! I had every one of the Dozen represented (notice even the green tea!) but with LIVE TV it’s always a matter of what they can fit, news coming in – I’ve been so lucky that my other segments have gone on for 5 or more minutes! And yes, Courtney Dempsey along with Mariane McClary ( who has done other segments) are spectacular to work with. And Courtney is a vegetarian! (note she states it in the show). Thank you for your comments, it means a lot! Lani, JUST got your newsletter and thank you for getting this video out to us so fast. 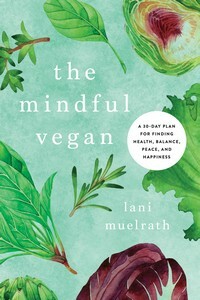 I have both of your books and they each play such an important role for people who want to go plant-based or vegan. No wonder you are teamed up for a show like this. It works perfectly! I’ve got to try making that rice dish. Looks great! James, my pleasure and thanks for stopping by! 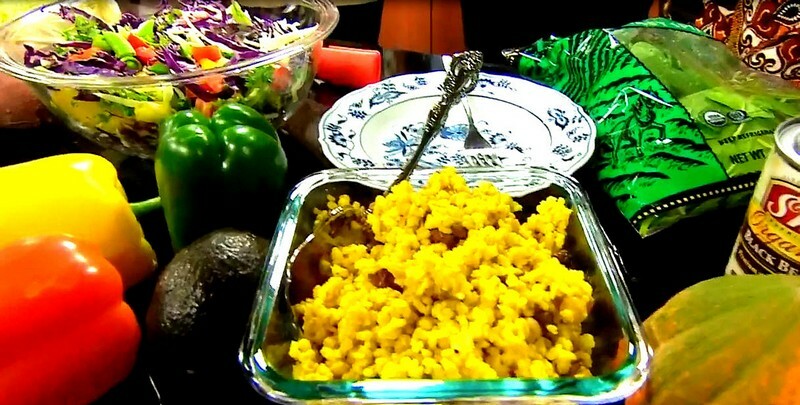 Golden Turmeric rice is soooo good! And it’s great as a cold salad, too. Let me know if you try it! Thanks Sandra! How long have you been eating raw vegan? Is that 100% raw? It would be great to have a segment like that each day, maybe focusing on one or more of the daily dozen with sample recipes/dishes. Call it the Lani Greger Daily Dozen segment. What producer wouldn’t want that? And for the complaint part… a little short and rushed but certainly info packed for the few minutes allotted. Oh yes, and the food really looked incredible. I love your ideas! And you are right, each one of these could be an entire segment! So glad the food looked good. Thanks for sharing your thoughts! 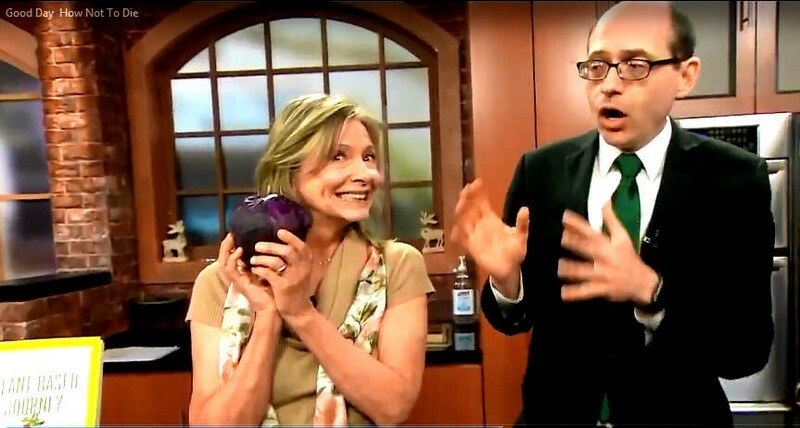 Lani, beautiful presentation of Dr. Greger’s Daily Dozen! I don’t think anyone could watch this without realizing how delicious and fun plant-based eating can be! Debby, I am so glad you like it! It means a lot to me that you stopped by to tell me. See you soon! 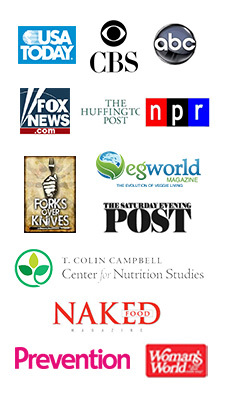 Can’t wait to meet everyone at PBNSG!